Explore the beautiful countryside of Netherlands on a bicycle. 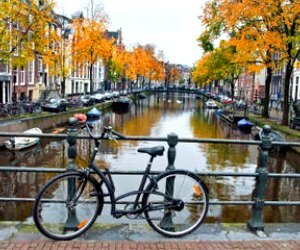 Experience the unique culture of this country, discover interesting information and cycle around on custom bicycles with an expert guide as you travel through northern Amsterdam on a 21 mile route with these popular Amsterdam bike tours. You will travel through beautiful villages where life is still very traditional, green pastures and a nature reserve. Your guide will provide you detailed information about this district's history and culture. You will also get the opportunity to rest and enjoy lunch in the beautiful Durgerdam (additional cost). This 4 hour tour definitely provides you a unique view of Amsterdam. 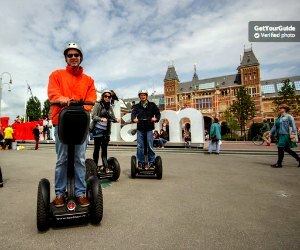 With this unique Amsterdam segway tour, you will be able to explore the city in a fun and very unique way. This is a two hour tour where you will be able to see the beautiful canals of the city, the bridges and historic streets effortlessly on a Segway. A guide will be providing you information about each area you visit, provide historical information, tips and answers to all your questions live over earphones. The tour will start close to the Central Station where you will be provided complete safety training. 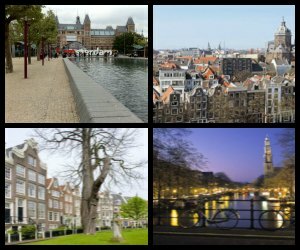 You will then head off to see several great sights such as NEMO, Oude Kerk and Museumplein. These 2 hour-long Amsterdam bike tours are designed to provide you a more personal experience. The bicycle tour begins as you ride through Amsterdam's Jorddaan Quarter. You will then travel through many top attractions in the city such as Rijksmuseum and Magere Brug. Relax in Vondel Park as you take a short break and take in the beautiful green views. 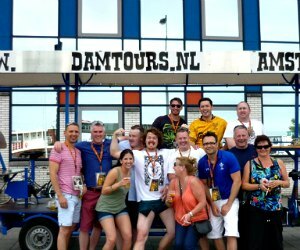 At the end of the tour you will ride through the famous Red Light District. Your guide will provide interesting historical facts about this exceptional district. An upgrade to a 3 hour bike tour is also available where you will also be able to additionally visit the house of Rembrandt. These small group Amsterdam bike tours will take you off the beaten path and to some of the best highlights of Amsterdam. The tour begins in Central Amsterdam close to the Dam Square. 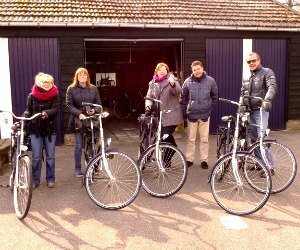 You will then follow the professional guide on your bicycle as you cycle through the city center and to Zeeburg to see the ancient warehouses that are now used as nightclubs and bars. You will also visit De Waag and pass by the 15th century walls of the city. You will then head up to the terrace of the Amsterdam Public Library for beautiful views of the city. With thesefull day Amsterdam bike tours, you will be able to explore some of Holland's best kept secrets. You will be able to see the famous windmills, enjoy beautiful scenery and get a glimpse into the local life. The tour begins in Amsterdam as you cycle through the recreational park of Amsterdamse Bos. You will then cycle through Warmond and see several windmills and traditional villages along the way. The tour also includes snacks and lunch. Stop at a local café in Westeinderplassen to enjoy lunch as you are transported back in time. You will then follow another beautiful route to reach Amsterdam. These full day Amsterdam bike tours combine two fun activities- canoeing and cycling. You will be able to explore many exceptional areas just like the locals as you take a trip to Vinkeveense Plassen. The tour begins by cycling to Botshol along the Amstel River. This is a protected natural area from where you will follow beautiful waterways and cycle to Vinkeveense Plassen. This is a large water body with several islands and is a very popular spot for the locals in summer. Here you will canoe around to explore the beautiful waters and the wildlife inhabiting it. Enjoy lunch at an island before heading back to Amsterdam. These are 3 day Amsterdam bike tours that will allow you to explore North Holland. The first day begins by cycling through Spaarnwoude, a recreational area and then to the very popular Bloemendaal beach. 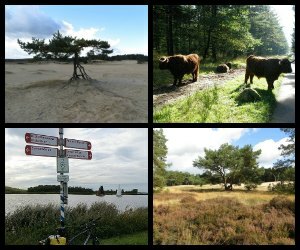 This tour will also allow you to explore Amsterdamse Waterleidingduinen on foot and by bike where you will be able to see the spectacular natural beauty and wildlife of this area with an experienced guide. On your way back to Amsterdam on the last day you will follow a scenic route and pass by Westeinderplassen, a water recreational area, and several Dutch villages. You will ride on a bike boat, pass through Warmond and see various windmills along the day. The tour ends as you cycle through Amsterdamse Bos. Spend half a day exploring the beautiful Dutch countryside on a 27 mile Amsterdam bike tours. This tour will take you to Amsterdam's outskirts where you will see picturesque villages, farms, canals and rivers. The tour includes a professional guide, snacks, tea and coffee. You will cross the river by boat and get a glimpse of local life as you pass by windmills. Enjoy beautiful scenery of Botshol and visit Vinkeveense Plassen to see how locals spend their free time during summers. 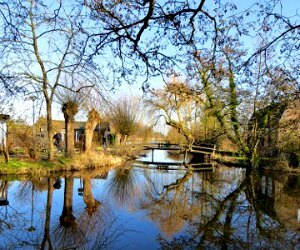 Pass by the beautiful villages of Ouderkerk and Abcoude where you will see old forts and churches as well as birdlife. These 2 day Amsterdam bike tours will allow you to explore a whole new side of Holland. Travel through beautiful farms, small villages and waterways where you will be able to see local life and spectacular scenery. The tour starts as you follow the Amstel River from Amsterdam to the Uithoorn village. You will then cycle along beautiful farms and rivers to reach Nieuwkoop and spend the night. You will have plenty of time to explore the surroundings, swim and relax. On your way back you will take a different route to cycle along different waterways to soak in the atmosphere and local life. Explore Amsterdam like the locals do! These private 3 hour long Amsterdam bike tours will take you to some of the top highlights of the city by bicycle. A professional guide will accompany you to provide interesting information and historical background. Your trip starts in Nieuwmarkt district where you will meet the guide before heading towards the Anne Frank House and Dutch Protestand Westerkerk passing through the spectacular canals. You will also be able to explore the Jordaan area and the Museum District and cycle inside Vondelpark. Towards the end of the tour you will visit the busier areas like the Red Light District and Canal Belt. These half day Amsterdam bicycle tours will take you to visit countless food outlets, shops and local markets so you can get a taste of real Amsterdam. This tour will take you to the many stalls that sell the traditional and famous raw herring snacks well known in Holland. 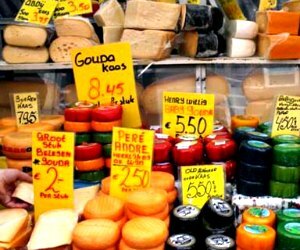 Visit the local market to sample many local Dutch cheeses. You will also be able to sample fresh Dutch waffles at another market. Along the way you will cycle along historic monuments on the Canal Belt. Stop by the popular French fries stand in the city center to try traditional bitterballen snacks. This tour also includes a visit to the FEBO fast food outlet known for its vending machines. These half day Amsterdam bike tours will allow you to explore some of the eco-friendly highlights of Amsterdam as you visit local food stores and markets. The tour includes welcome drinks, organic lunch and tastings. The tour will be led by an award-winning and famous travel photographer. Every tour is different, based on the day you select. 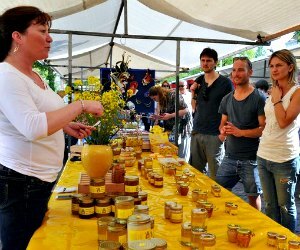 The Saturday tour includes a visit to the eco-market Biologische Markt where you would be offered samples of sustainable food items. You will also be able to travel to NDSM Wharf to visit Tosti Fabriek, a unique farm concept and sandwich factory that takes dishes back to the basics and its raw ingredients. These small group Amsterdam bike tours will allow you to escape the noise and pace o the city to explore the serene countryside of Netherlands. The trip starts at Neiuwezijds Kolk, close to the Central Station where you will pick up your bike and cycle along beautiful paths in Waterland district. This is a 35 kilometer bike tour where you will pass by beautiful villages, waterways, green pastures and many brooks. The land and dykes of this area have been reclaimed from sea. Soak in the beautiful views and enjoy the ride as your professional guide provides you detailed information about the district's local culture and history. These 6 hour Amsterdam bike tours will allow you to experience local life and see some of Holland's best natural attractions. 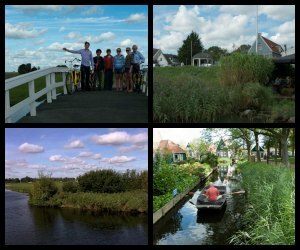 This tour will take you to the Polder and Plassen area outside of Amsterdam. The route you will follow is extremely scenic, providing you a very different view of Holland. 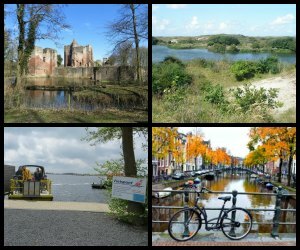 Cycle through beautiful Dutch countryside and pass by lakes, castles, old forts, bunkers and many spectacular natural areas. 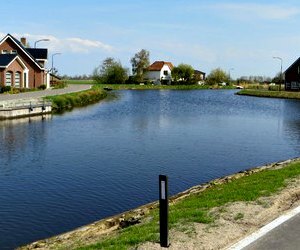 The tour includes a visit to several typical Dutch recreational areas and villages like Abcoude, Weesp, Baambrugge and Muiden. You will also stop for lunch and enjoy several other breaks along the way. 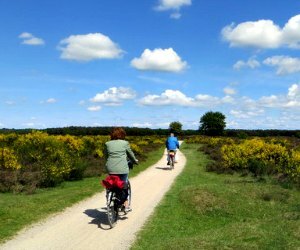 Explore the spectacular natural beauty of the Dutch countryside just north of Amsterdam on this bicycle tour. These Amsterdam bike tours starts as you cycle through Amsterdam's city center to reach the east docklands where you will see the modern and traditional architecture of the city. You will continue on to the port and follow the spectacular coastal route to reach Marken and its old lighthouse. There are several picturesque beaches along the way where you can take a break or enjoy a swim in the water. You will follow a scenic route on your way back and cycle along canals and farms. 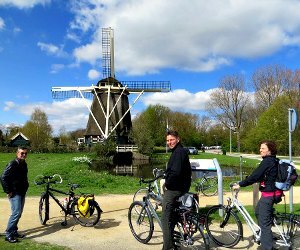 On these comprehensive 5 day Amsterdam bike tours you will travel through Holland's countryside and visit 2 national parks. The tour includes breakfast as well as food. 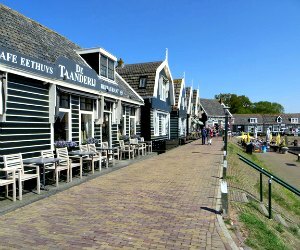 On the first day you will cycle to the fishing village of Muiden where you can enjoy a refreshing break. You will then continue on to the Muidenberg village and then to Almere Haven. Here you will enjoy lunch and then head on to the De Hoge Veluwe National park. You will be able to explore this national park on foot and by bike to see heathlands, sand dunes and wetlands. 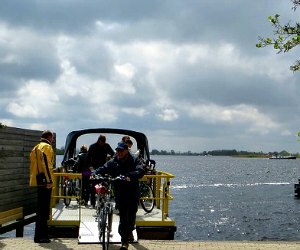 You will then cycle through many villages and sand dunes of the Utrechtse Heuvelrug national park to visit the water recreational area of Loosdrechtse Plassen. On your way back to the city you will pass through many waterways and farms. 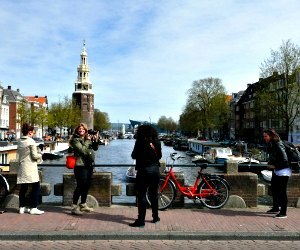 For photography enthusiasts, these half day Amsterdam bike tours offers a very unique opportunity. 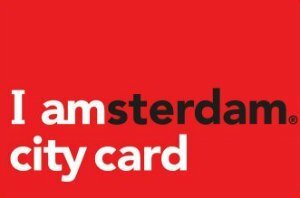 You will visit some of the top photographic locations in Amsterdam in the company of Tom van der Leij, an award-winning local photographer. Learn how to take spectacular photographs along the way as he takes you to some of the hidden gems of the city. You will be able to explore on foot as well as by bike. You will visit the old garden courtyards, the canals, open spaces, local markets, see new architecture as well as the traditional merchant houses and meet many colorful local residents along the way. Discover the spectacular waterways of Holland in the Dutch countryside on these 5 day Amsterdam bike tours. 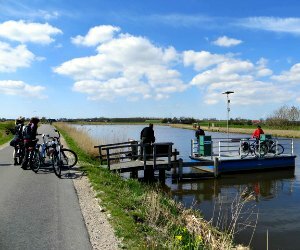 You will cycle along the recreation area of Loosdrechtse Plassen and many traditional villages along the way. You will ride through the Utrechtse Heuvelrug National Park and cycle along the city of Nijmegan to see windmills, old churches and wildlife. You will also be able to cycle on forest tracks as well as through villages. In Arcen you will visit a local brewery and taste Hertog Jan beer. You will continue on to Ohe en Laak and cycle along Maas. You will follow many rivers and canals through Belgium to spend a night in Maastricht before heading back to Amsterdam. On these 2 hour long unique Amsterdam bike tours, you will be able to ride the electric beerbike and visit the Canal Belt while enjoying beer. The beerbike has a designated driver so you will be able to freely enjoy the tour as well as the beer. The tour runs throughout the day at different times and is suitable for smaller groups. There is 30 liters of excellent beer available along the way to enjoy. The driver will peddle the mobile, electric bar to take you on a tour of some of the best highlights of the city. The tour price includes beer as well as WA insurance.